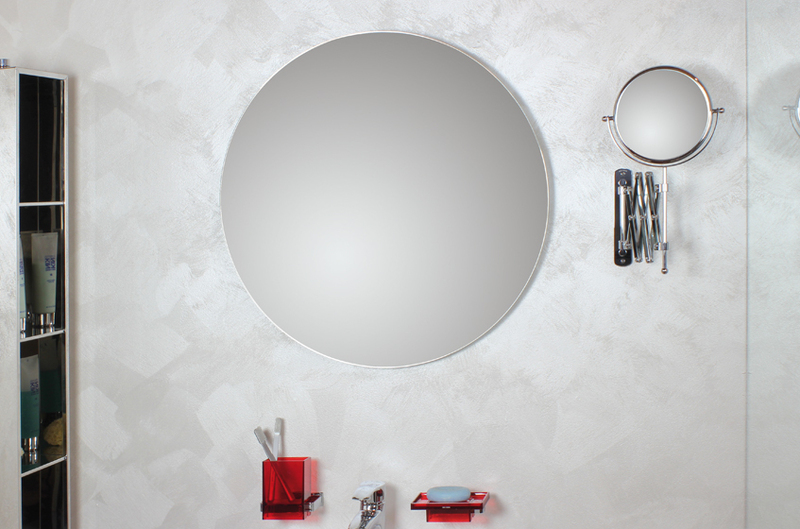 Koh-i-noor presents all brand new round wall mirrors, with grinding polished edge technique and wall installation. 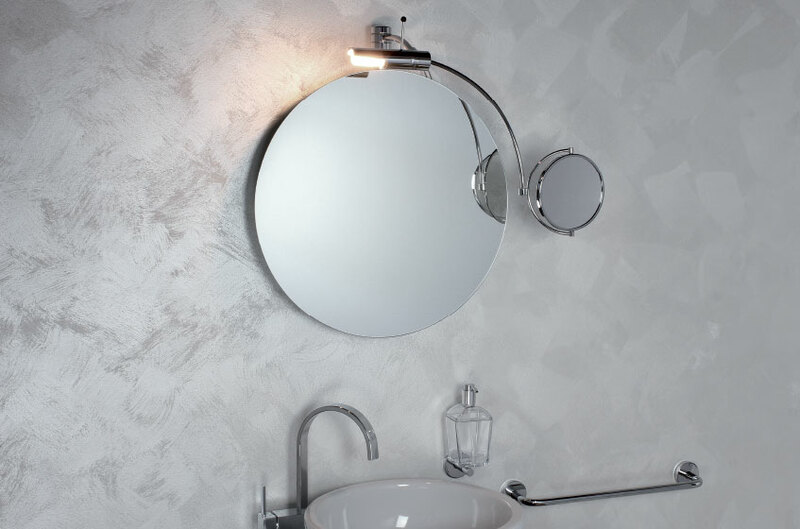 Round mirrors are simple but perfect bathroom elements, they can illuminate the room and increase its dimension thanks to the reflective surface. It’s a basic set for bathrooms, its shape and dimension make it a furnishing element. Polished and round mirrors. Koh-i-noor’s mirrors are subjected to a carefully checked machining process. To obtain the round shape, mirrors are carved with grindstones: the whole process of cutting leaves irregular edges that must be grinded to avoid accidents, and to increase the aesthetics quality of the final product. Edges are grinded, in this case, with a grinding polished edge technique. The final result is a perfect round shape and the product gains a polished look that can easily avoid the need to add furher decorative elements, or other shapes. This process follows the regulations for the environment protection and human heatlh care, for this reason heavy metals like lead and copper are not included in the process, because of their harmful characteristics. The absence of these materials does not preclude any aesthetic quality since Koh-i-noor implement its production with alternative skills, that guarantee the same quality results. Mirrors Installation. 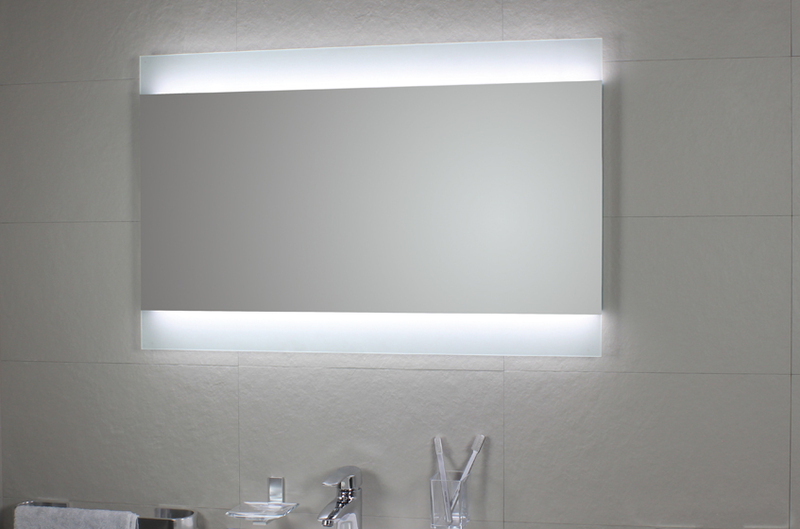 Round polished mirrors are installed on any kind of wall surfaces, including tiles. To increase the aesthetic quality of these products, an ideal collocation spot is above the washbowl or on a free wall, in order to facilitate all daily operations like women make-up. Installation is easy and fast, and does not need the presence of specialists. The 5 millimeters depth of the glass complete the technical specs. These high quality mirror glasses have not a deforming reflective surface: despite the round shape, Koh-i-noor’s mirrors reflect all images without deforming it. Even though products measures are basically standard, clients can submit a special request to customize all mirrors dimensions to adapt the product in an already fully furnished room. In this case, you just have to submit a technical design with all the new custom specs: Koh-i-noor will immediatly send a new quote back, directly to the client e-mail.